This week has flown by! I feel like I was just writing up my last week's favorites. 1. Still no kidney pain! I think the lithotripsy worked! I've haven't gone this long without side pain for over a year and a half! Awesome! I can't get over how great I feel. I guess I didn't realize how sucky I was feeling. 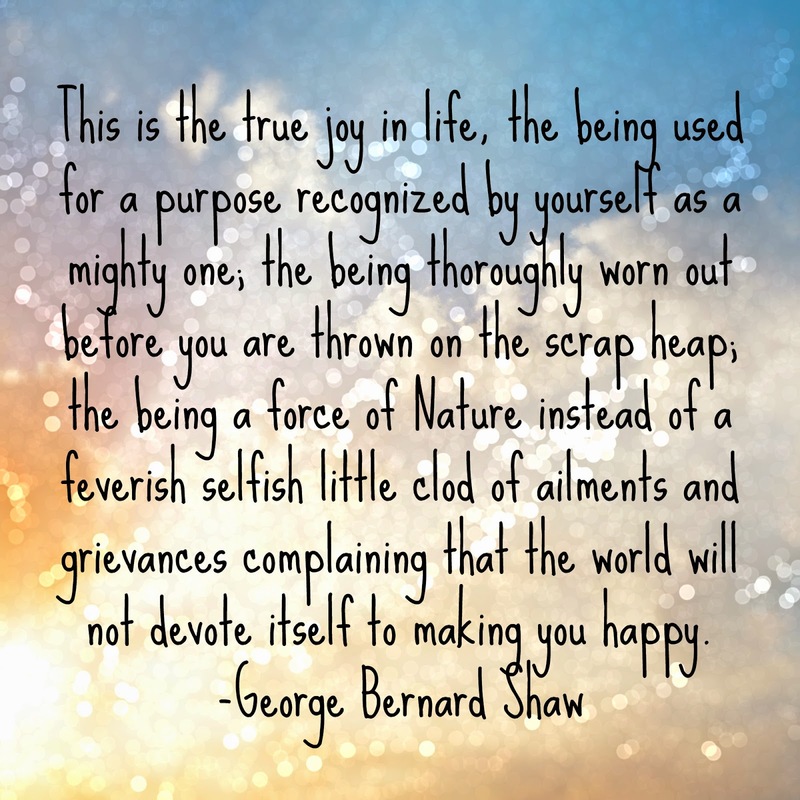 Nobody wants to be a "feverish selfish little clod". And it's true, it's not the world's job to make you happy. 4. I've started cleaning up my flower beds. Last year I didn't trim back my perennials. I don't really remember why. I think the snow just came and never melted away. Anyhow, so this spring, my echinacea and rudbeckia came in with a vengeance. I love them, so it was okay, but I figured if I didn't cut them back this fall, they'd end up choking out everything come next spring. Plus, if I clean up a little a day, it's much less overwhelming. 5. This coming week is Selfish Sewing Week hosted by Imagine Gnats and Kollabara! I'm hoping to get a project or two crossed off my WIP list. Are any of you participating?